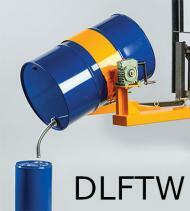 The DLFT Forklift Drum Attachment is a forklift operated drum lifter/rotator. 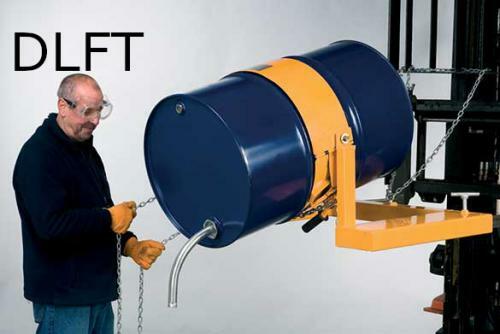 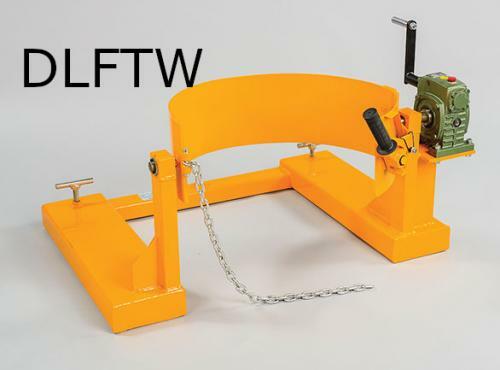 A 10-foot hand chain allows for the drum to be tilted through 360 degrees, without the driver having to leave the safety of his cab the driver can sit in his seat and have control over the rotation of the drum. Alternately the DLFTW & DLFTWP are available with a hand crank device to help the user control the rotation of the drum with ease. 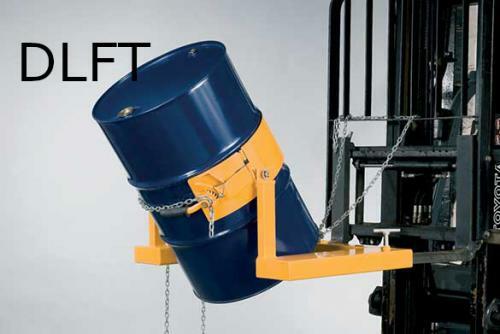 Easily lift, raise, lower, transport and tilt loaded drums up to 365kg (210 Litre). 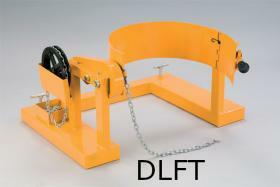 10mm Pull-chain loop allows control from drivers seat. 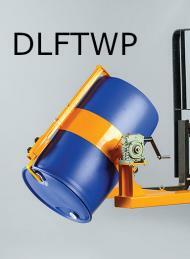 Easily convert your forklift truck into a drum handler/rotator.